The Anni Arts 3D Paper Craft Mugs have cute latte spoons just like real porcelain ones! 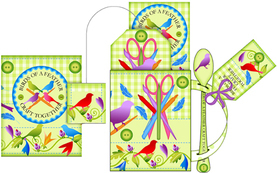 The Mugs and Spoons make fab containers for favors, gifts, chocs and sweets. They are properly sized and can be presented on the presentation tray. 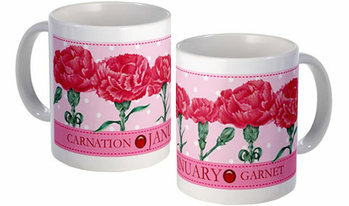 These Paper Craft Mugs are an exclusive Anni Arts design and very popular with crafters. Clever round card stock mugs with gift card envelopes, tea bag packets, tea bag tags and extra tags have cute "latte" spoons through the handles just like porcelain ones! (Or held in hand by little characters). All sorts of small gifts, choccies, socks, votive candles or more can be placed in the mug. Included too, is patterned paper to print as inner lining for the mug by printing the page first, then print the mug on the reverse. Or use as coordinating gift wrap. Many mug sets also have a little presentation tray! • Small bunch of flowers - place in an empty yogurt cup placed in the mug. Place a bit of moist cotton wool in the yogurt cup. Can't craft, won't craft? There are real mugs ready-to-order too! Pay securely with your CREDIT CARD or your PAYPAL ACCOUNT. You do NOT need a Paypal account to buy. No physical goods will be shipped. • Documents in PDF format need Acrobat Reader to open. Down-load Acrobat Reader for free.